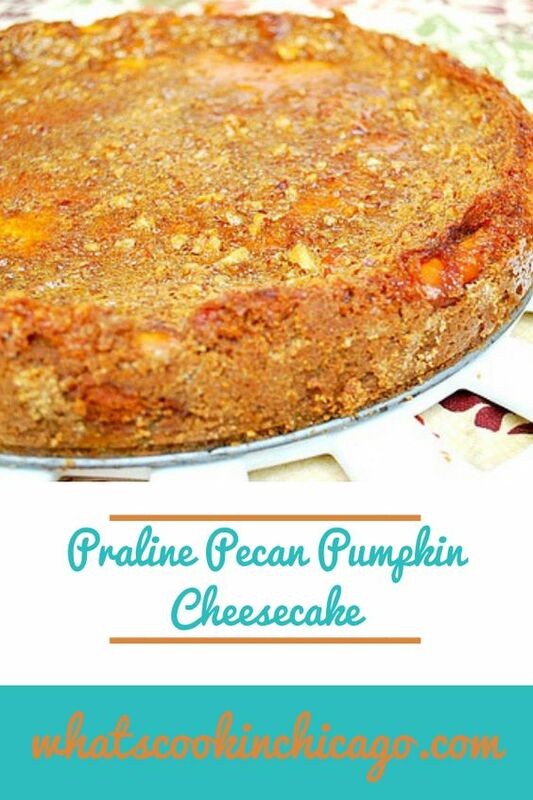 Pumpkin, pralines, pecans...today's post has been brought to you by the letter P. This may appear a bit intimidating because there are three components to the recipe - crust, filling, and praline - but don't let that stop you. Each component is easy to make and you can even do some or all of them in advance. I think I may even make this again for the upcoming holidays and it's certainly guest worthy too! Preheat oven to 325°F. Line a baking sheet with foil. Preheat oven to 325°F. In medium bowl, combine cookie crumbs, cinnamon and butter until the crumbs are moistened. Transfer the mixture onto a 9-inch-diameter springform pan with 2 3/4-inch-high sides. Spread the crumb mixture evenly on the bottom and sides of the pan. Bake crust in the preheated oven until set, about 8 minutes. Cool. Double-wrap outside of pan with heavy-duty foil. Place in large roasting pan and set aside. In a large bowl, beat the cream cheese and sugar with an electric mixer until smooth. Beat in flour and spices. Add the eggs 1 at a time. Add the pumpkin, bourbon and vanilla. Transfer to crust. 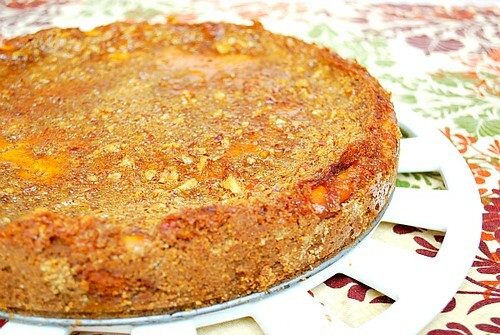 Pumpkin cheesecake is one of my favorite ways to use pumpkin! Oh my LORD this sounds amazing! I'm on the pumpkin bandwagon right now too! Yum!!! I LOVE pumpkin. Pumpkin everything! Oh gosh this looks good! This is perfect timing! I'm even making homemade gingersnaps this weekend! OMG - this looks AMAZING! oh. my.god. yes. please! So yummy, and now I want this! I might have to try this so I don't have to spend all that money on cheesecake factory pumpkin cheesecake.